Steel yourself on the front line with defensive stat oriented armor and weapons while cycling through Attunements to funnel Auras onto nearby allies; in the meantime, utility skills and traits provide minor support options in combat. Tank bosses and the like straight to the face by manipulating massive amounts of beefed up Protection through skills, Traits, and Runes. Also, negate enemy damage with Blind from both Air and Earth attunement abilities, and healing from Overloading Attunements, especially Water – use this build for single target fights. Stay in combat with Earth Attunement for as long as possible to inflict powerful Bleeding on the opponent and wear them down over time, while protecting yourself through proper use of Traits and utility skills. With a combination of hard hitting Arcane skills, greatly enhanced Condition damage & duration, and a healthy dosage of critical hit chance (with a side helping of personal buffs and self-sufficiency), this build allows you to crisp targets with powerful Burning and stacking Might to leave the opposition scorched. With the supportive capabilities of Water Attunement and magically enhanced Shouts, this build turns you into a powerful enchanter – imbue powerful healing and stacks of Might unto allies, while inflicting debuffs such as Vulnerability and Weakness to enemies. A build completely dedicated to the Condition of Blind to stop enemy damage, revolving around rotating through 3 different Attunements – Cast Glyph of Storms and Scepter 3 in Earth, use Arcane skills and Scepter 3 in Air, and while otherwise waiting for cooldowns, stay in Fire to apply Blind on Burning through Traits while also providing moderate DPS. 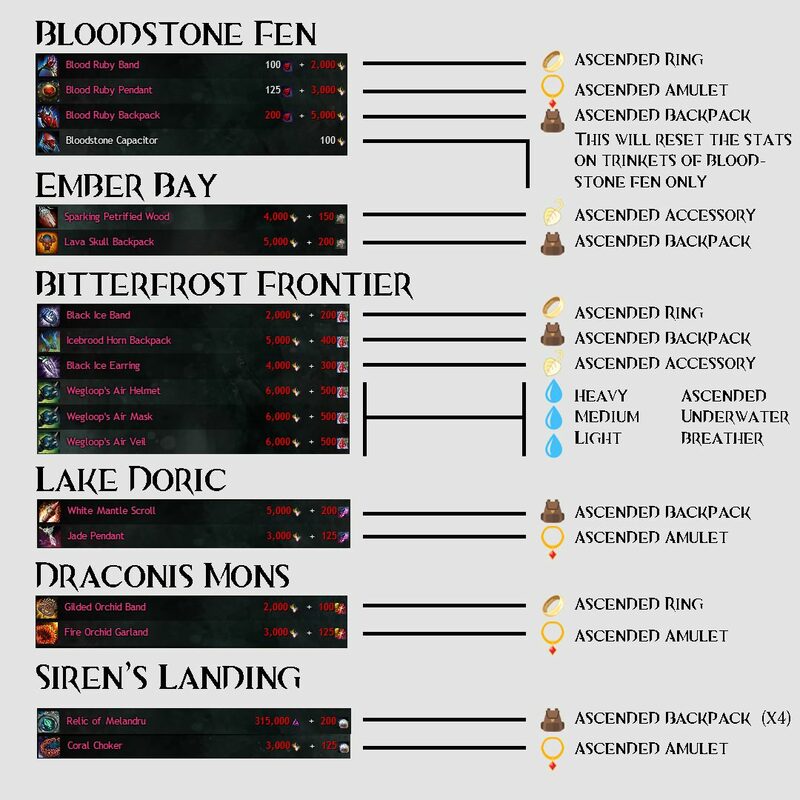 An offensive Water Attunement build – With this build you stack long-lasting Vulnerability on high profile targets, while at the same time deal massive damage with Arcane critical hits and adding slight crowd control with Chilled. This build focuses around two main mechanics – generating Barrier by dodging, and supplementing yourself with a vast variety of Boons and healing, including Vigor whenever you cast a Cantrip or hit with a Dual Attack. 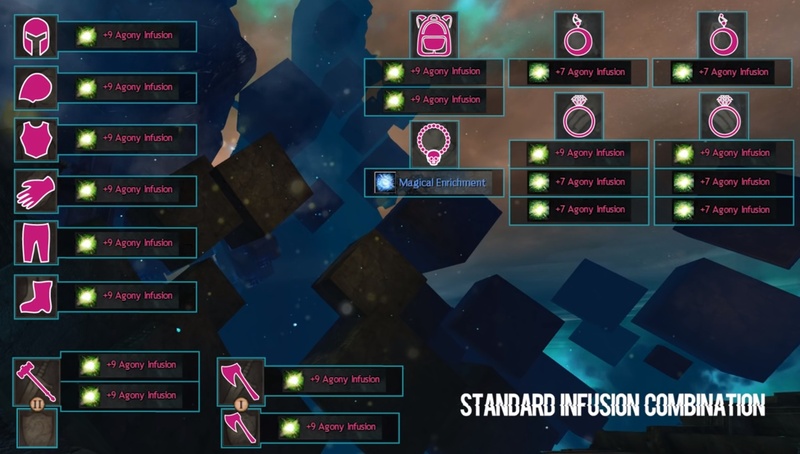 Survive in the thick of combat in a myriad of manners; deploy enhanced Protection through multiple effects, regenerate health whenever you apply Swiftness to yourself, and grant yourself healthy amounts of Vigor from a variety of sources – not to mention powerful interactions with, and bonuses to Elixirs. Blast through the battlefield by battering foes with a barrage of baleful Conditions – in the meanwhile, your Turrets control the frontlines by keeping opponents at bay and providing powerful bonuses to your nearby allies. Become a menace on the battlefield by stringing together different combinations and synergies from your Trait lines – namely, applying large amounts of Vulnerability from both weapon skills and explosions. Simple build with a simple premise – camp Med Kit to provide both a steady stream of regeneration to yourself, alongside consistent healing to allies as well through traits and active skills. Additionally, powerful and enhanced tool belt skills provide even further utility to allies through a multitude of Boons. Two core mechanics make this build work – stacking multiple forms of health regeneration through Traits and Runes, and stacking damage reduction through several different methods. Consecrations, Meditations, oh me oh my! You heal people. A lot. Also applies a lot of Protection/Aegis, etc. You yell in the midst of battle, with surprising frequency. Each time you do so, you make your friends a little bit better at killing people/things. Blink to allies in need during combat, then provide a steady stream of Boons and healing. Tons of Boons, lots of Conditions, and they all last a hella long time. Boo-yah. Masterfully command clones and Wells to inflict Conditions & bestow Boons respectively. Features an emphasis on Alacrity with every Well cast, alongside focus on as much upkeep on Shatter skills as possible. Note: Vampiric Presence can be replaced by Life from Death in Blood Magic, Tier 2 to turn this build into a Shroud healer. In this case, replace Unyielding Blast in Soul Reaping, Tier 1 with Speed of Shadows for reduced Shroud cooldown. HoT – Power Signet Daredevil– D/D can be swapped for Staff and Shortbow taken for extra Mobility. Take this build if you need a defensive option for general open world activities – with these you’ll constantly be bouncing back and forth between regenerating your Endurance and your Initiative while having access to cheap healing and many other evasive capabilities. The hallmark of the build comes from the dodging you’ll be doing, especially in part thanks to the multitude of Conditions you’ll be applying to nearby foes over and over. PoF – Power D/D Spellbreaker– Use Imminenet Threat followed by Full Counter.